Had fun with this. 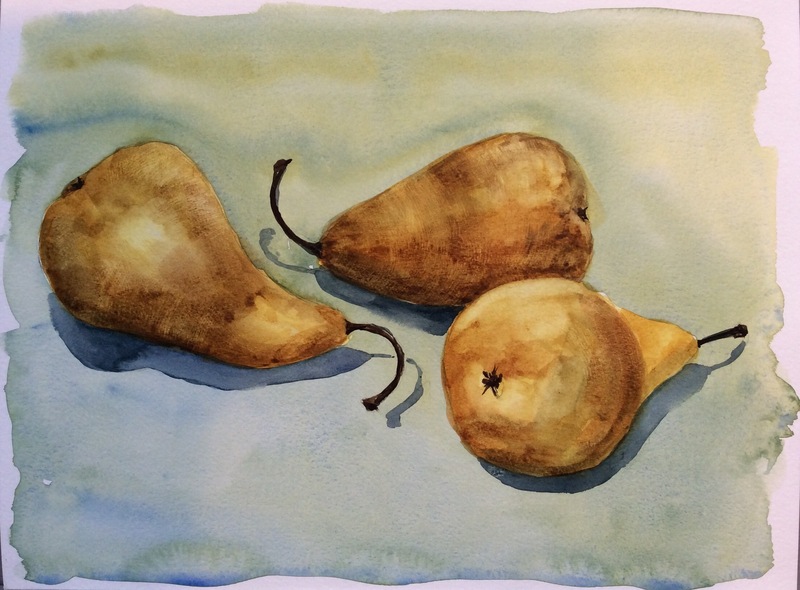 I love pear shapes. I do find them tricky to paint, but I’m happy with this attempt. 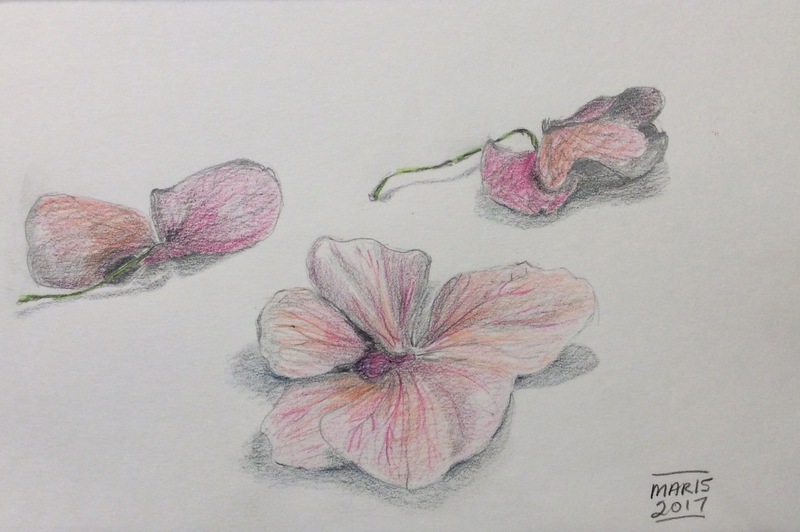 Lessons learned: it pays to go slow, let the paper dry and test the colour before making a stroke on the paper. And, yes, good paper makes a big difference. The is Fluid cold press, 140 lb. block. I liked how the faded flowers landed on the window ledge. Happy first day of spring. These are stone ‘eggs’ from Kenya I believe. 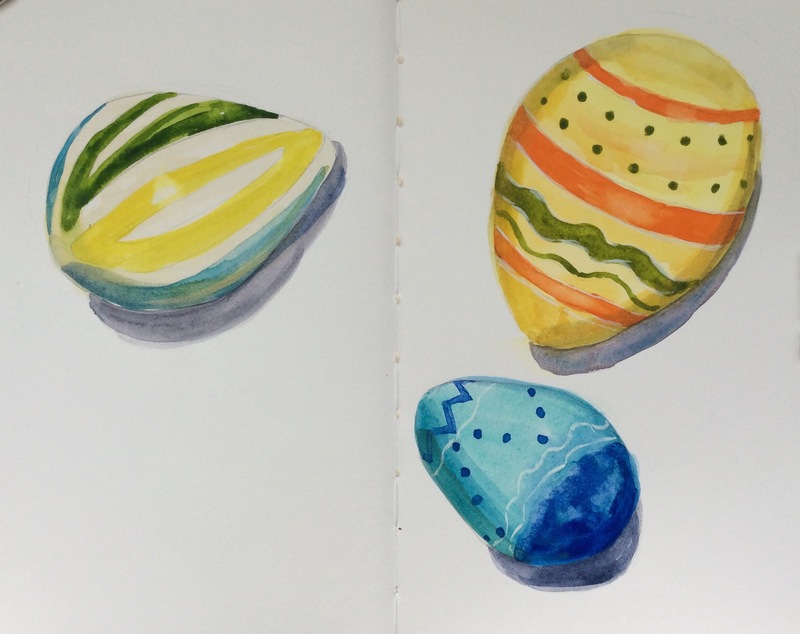 It was odd to be painting a sketch of painted eggs. I love this old shell, especially when the morning light strikes it. In the spirit of the ONE WEEK100 PEOPLE challenge last week, I did about 20. 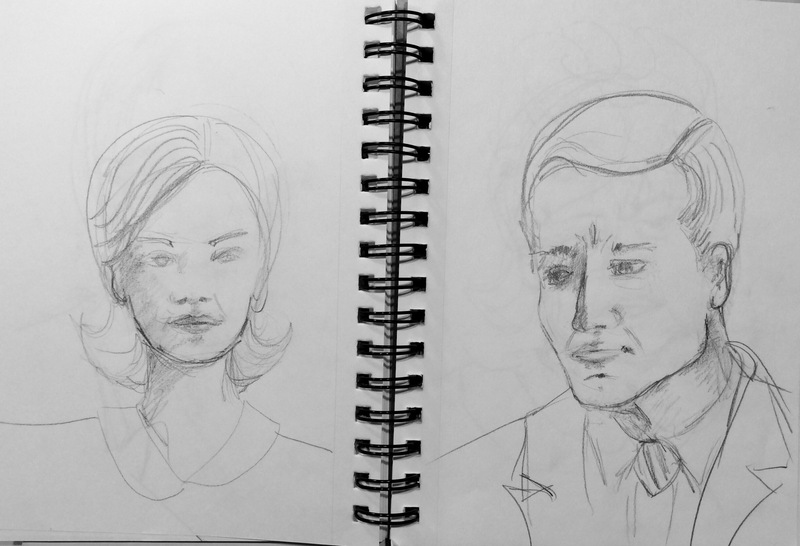 Including trying to capture a few faces from TV. 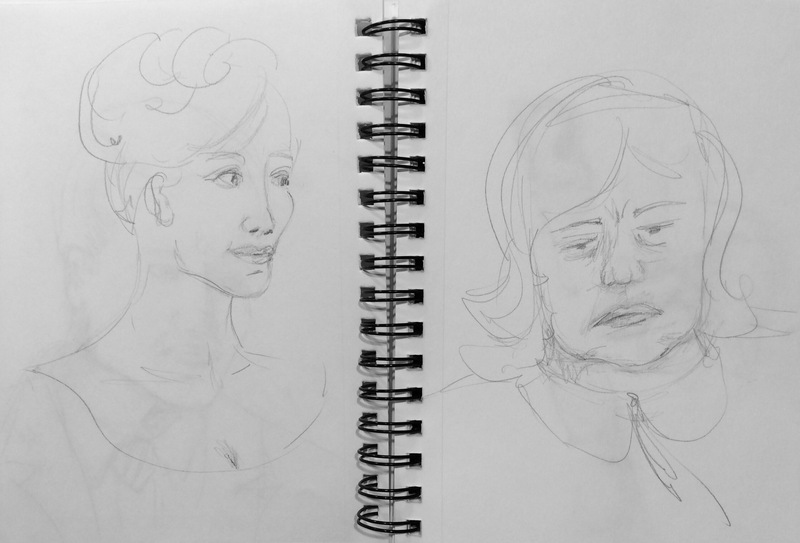 Lessons learned: I really need to practise seeing people and capturing gesture; when I draw men, they look feminine. Hmmmm…. I have a beautiful vase by ceramic artist Brenda Mader. 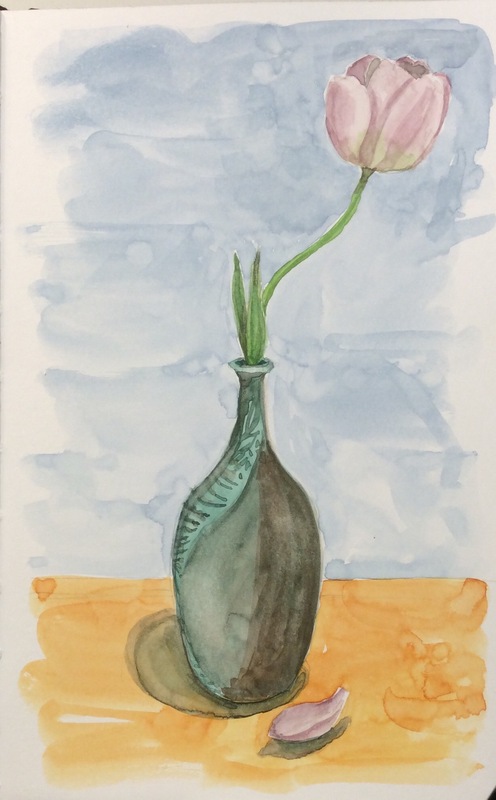 A single tulip looked very elegant in it, but I found that my little sketch didn’t really capture the elegance. By the time I got around trying a different approach, the tulip was fading fast, but still attractive, to my eye anyways. First, in Stillan & Birn Zeta sketchbook. 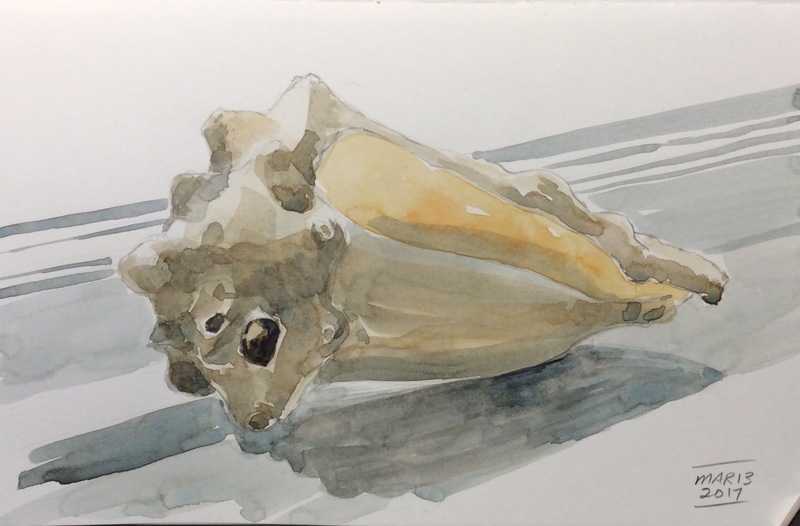 Then, in a Handbook watercolour book. Lessons learned: conveying the feeling doesn’t mean you need to do a realistic representation. Shadows don’t have to be super dark in order to read as shadow. I’m behind with my posts, but the sketching continues. One of the lessons in the book I’m following suggests drawing a child’s toy robot. 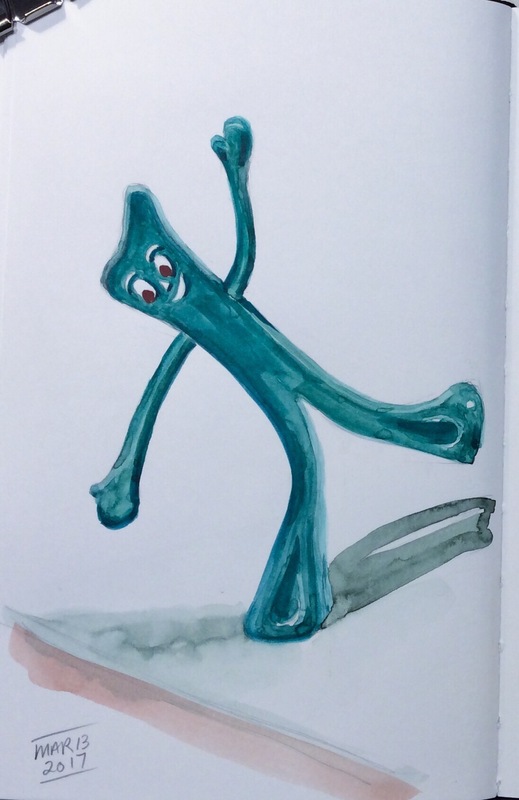 Lacking such a subject, I thought would draw Gumby instead — something simple to sketch at the end of a long day. Ha! Gumby turned out to be more complicated than I anticipated.